Building games has become easier to do with the increase in quality of tooling and specialization software. The unfortunate side effect is the developer has to become more trained and specialized in a variety of facets in order to maintain competency in the field. Ergo building games is also harder. This year for the 7DRL competition I've been pretty lazy, which doesn't help much to making deadlines. Setting aside playing games for making games I decided to finally venture into the competition whole heartedly. I've utilized a generic BSP algorithm to make a map. 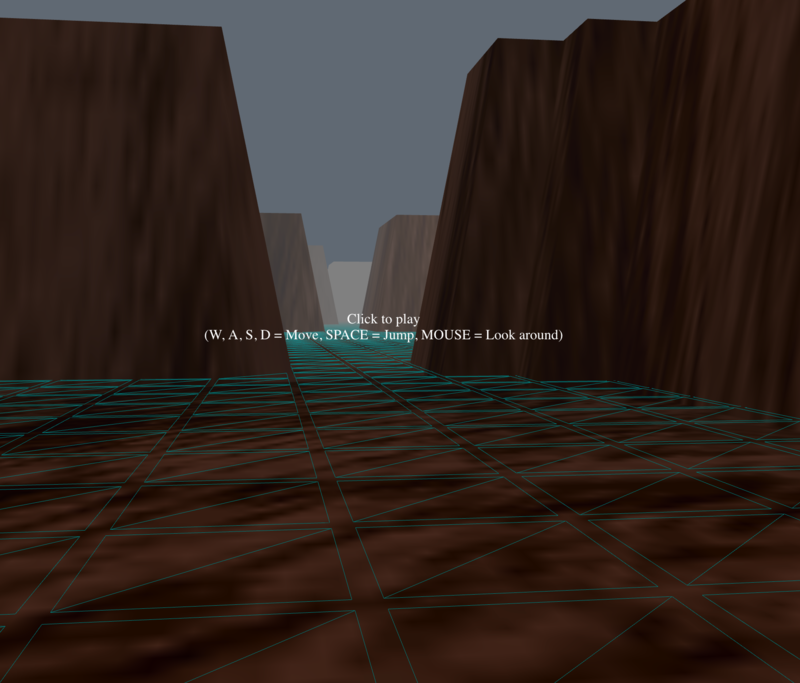 I've pressed in on the map onto a x2 quality mesh to see if rendering it all at once was a possibility. It worked fine. Tweaking the camera settings to be a first person perspective, correct camera angle and depth of field was harder then expected. Ensuring that the player doesn't clip past walls was an accomplishment. Used a hashmap to reference walkable areas instead of spending computation on another ray tracer. The pointer-lock controls and instruction div look pretty nice work as expected. Will need to color the map based upon the environment the map is currently in to more accurately present a look and feel appropriate to the setting. 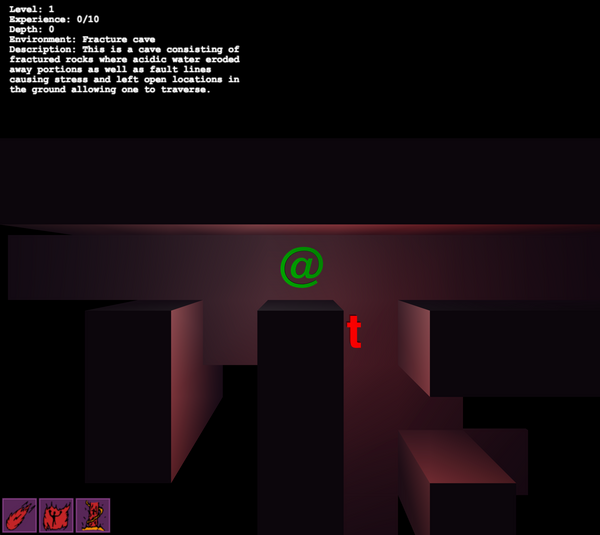 Will need to render a mobile or two on the map in ascii format and create an animation for death, i.e. falling over and sinking into the floor. Nathaniel Inman works on day 2 of 2017 7drl with a FPS and comes to some interesting conclusions. 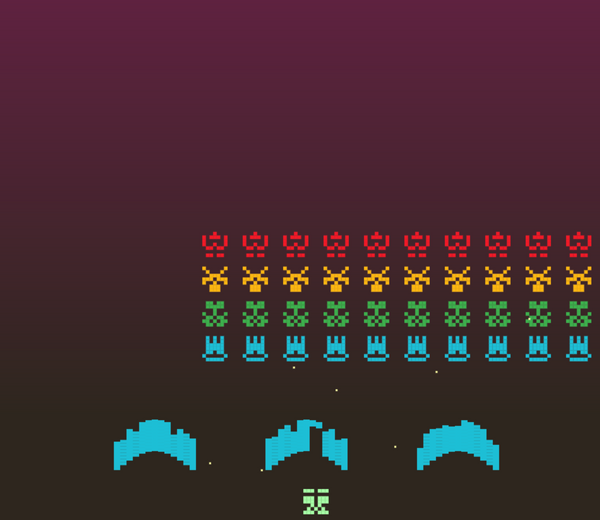 Recently Nathaniel Inman released a micro game `space invaders` utilizing his `ion-cloud` library. It's freely available to play and view its source code.